In a new interview with Huffington Post, the Russo brothers confirm more character deaths occurred off-screen in "Avengers: Infinity War." “Avengers: Infinity War” continues to dominate at the box office, taking the number one domestic spot for the third week in a row, and grossing $1.6 billion worldwide making it the fifth highest-grossing film of all-time. To put it more simply, Thanos rules. But his shakeup of the MCU we’ve grown to know and love over the past ten years has a lot of people asking, just what exactly happened to the characters who were off-screen during “Infinity War”? While directors Joe and Anthony Russo have been tight-lipped about the plot details of “Avengers 4,” they have been candid about who survived Thanos’ snap, which wiped out a bevy of beloved characters, including Black Panther, Spider-Man, Star-Lord, Drax, and many more. In a recent interview with IndieWire’s Kate Erbland, the filmmaking brothers admitted that the decision wasn’t an easy one, but that it needed to be done. “We knew that this was a risky choice to make, but we felt like it was the right choice to make because it was where we wanted to go, what we wanted to see, because it felt most challenging and surprising to us,” Anthony Russo told IndieWire. “Sometimes villains win,” Joe added. Still, the shocking ending (and, quite frankly, beginning) of “Infinity War” has caused fans to wonder who else was turned into dust at the hands of Thanos. In a new interview with Huffington Post, the fate of a few fan favorites was finally revealed. Here’s who survived, who died, and whose fate is still up in the air. On the bright side, Aunt May (Marisa Tomei) is safe, but so is Tony Stark (Robert Downey, Jr.), and it seems pretty obvious how she’ll react to Peter Parker being killed by Thanos. Aunt May discovered Peter’s secret identity at the end of “Spider-Man: Homecoming,” but she likely didn’t approve of her beloved nephew’s choice to become a crime-fighting superhero. Tony is probably glad to be stranded on Titan at this point. The Russo brothers also seemed to confirm that “Black Panther” heroine Nakia (Lupita Nyong’o) is alive. Although she didn’t appear in “Infinity War,” despite the film’s climactic battle taking place in Wakanda, the directors explained her absence to Huffington Post. “She’s on missions,” Joe said. “Yeah, deep undercover,” Anthony followed up. It seems safe to bet Nakia is alive and well. 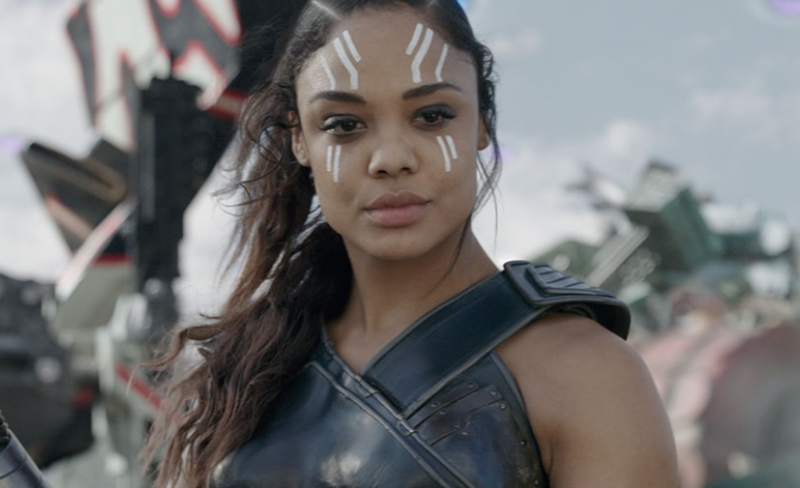 While “Infinity War” opens on a grim note, with Thanos ransacking the Asgardian refugee ship that sets off into space at the end of “Ragnarok,” it also seems like Valkyrie (Tessa Thompson) was able to make it out alive. During a Q&A session at an Iowa high school, the Russos explained that Thanos spared half of the Asgardians on the ship, and Valkyrie was among them. It seems possible she could team up with Thor in “Avengers 4,” although this has not been confirmed. Also alive? Howard the Duck (Seth Green), for whatever that might be worth. There are a few characters whose fate we don’t quite know, because the Russo brothers say confirming their statuses would be too much of a spoiler. The biggest surprise here? Jane Foster (Natalie Portman), Thor’s love interest who last appeared in 2013’s “Thor: The Dark World.” Although it is briefly mentioned in the beginning of “Ragnarok” that Thor and Jane have broken up, and Portman had stated that she no longer wished to reprise the role in the past, she recently stated she would be open to returning. In the comics, Foster takes on the mantle of Thor after the God of Thunder becomes unworthy to wield Mjolnir. Referring to Foster’s fate in “Infinity War,” Anthony stated he couldn’t confirm if she was alive or not. “When we say spoiler, [we mean] potential spoiler,” he told Huffington Post. Foster’s potential return in “Avengers 4” could be interesting, despite the fact that Thor no longer has Mjolnir. Another surprise was the Russo brothers claiming that the fate of Korg (Waititi) and Miek, Thor’s newfound friends from Sakaar, was too spoilery to reveal. However, Marvel Studio’s head Kevin Feige has stated that the MCU isn’t quite done with the “Ragnarok” breakouts, so it’s probably safe to say these two are alive and well with Valkyrie. Finally, there’s Shuri (Letitia Wright), T’Challa’s whipsmart younger sister who was last seen holding off some of Thanos’ Black Order in her Wakandan laboratory as she attempted to remove the Mind Stone from Vision’s head. The Russo brothers said that Shuri’s fate, which is unknown at the end of “Infinity War,” is too much of a spoiler to confirm, but since Shuri does take on the mantle of Black Panther in the comics, it seems likely she survived and could step in the fill the void after T’Challa’s demise. Even with the fate of several key characters still in the balance, it seems likely that “Avengers 4” will be another game-changer for Marvel and for the face of the Avengers on the big screen. With possible key roles for Jane Foster and Shuri going forward and the introduction of Captain Marvel (Brie Larson), the MCU could be inching even closer to that much-rumored all-female Avengers team in the near future.